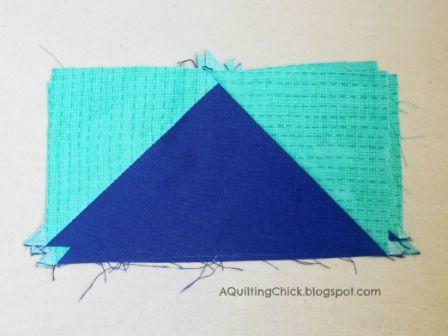 Looks like y'all have been having as much fun as I have with this quilt along! I've really enjoyed seeing all of your panels popping up on social media! 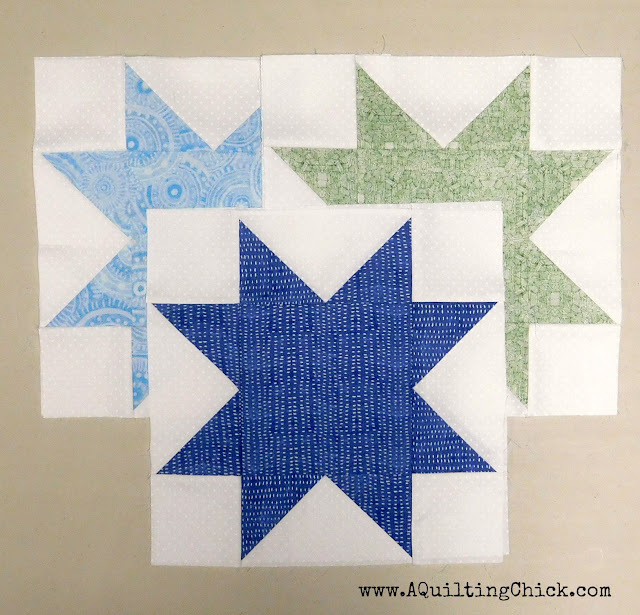 This week, we are making the sawtooth stars to fill in our large blocks. You need a total of (15) 12-1/2" blocks. 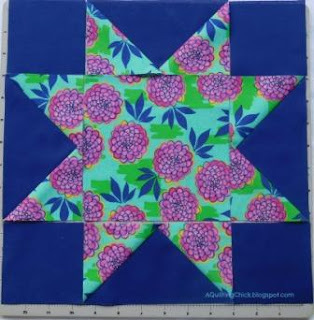 So just subtract however many 12-1/2" panel blocks you got ready in the last step from the (15), and that's how many sawtooth stars you need to make. In my case, I have (8) panel blocks in the large size so I need to make (7) sawtooth stars. 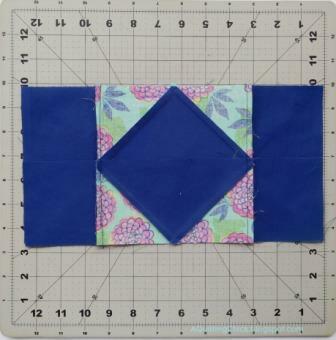 Place (2) 3-7/8” squares on top of (1) 7-1/4” square, right sides together, as shown. The center corners will overlap. Pin as shown. 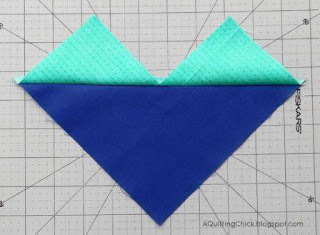 Sew a scant 1/4” seam on each side of the diagonal line as shown. Cut on your drawn diagonal line and press open. 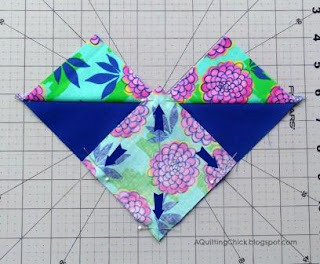 You will have two pieces that look like the picture to the right. Pin a 3-7/8” square to the corner of your partial flying geese. Pin as shown. 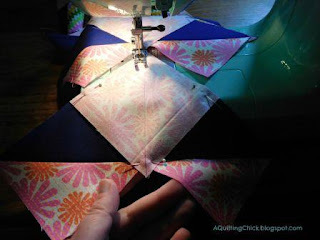 Repeat for both of the partial flying geese pieces. Sew a scant quarter inch seam on both sides of your drawn line, as shown. Cut on your drawn line and press open. You will now have 4 flying geese units. 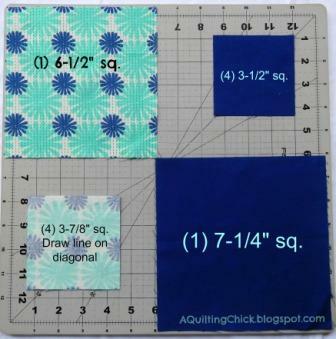 Square up to 3-1/2 x 6-1/2”. 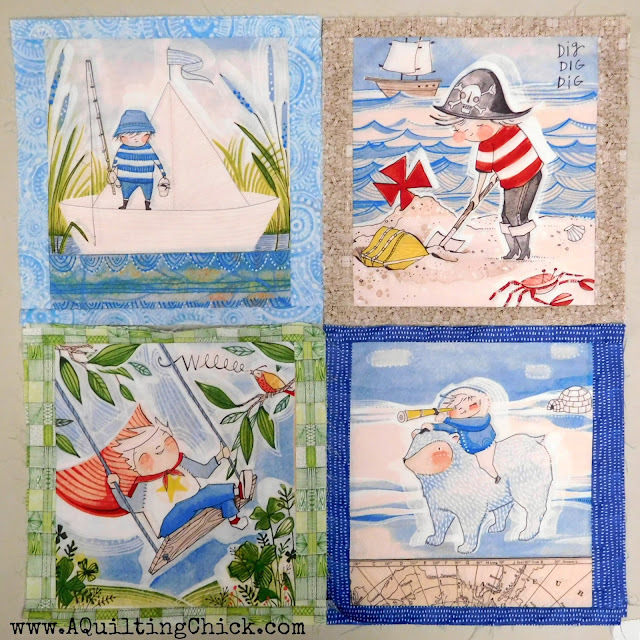 Arrange (4) flying geese units with (1) matching 6-1/2” square and (4) 3-1/2” background squares as shown. 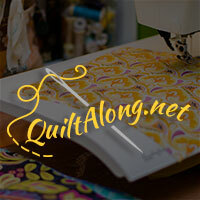 Sew into three rows. Press seams away from the flying geese units. Layer the top and bottom row over the middle row as shown. 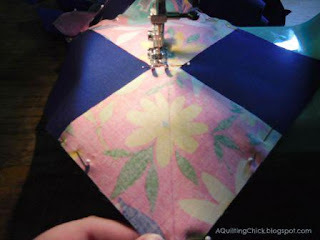 Pin along the long edges and sew. Press open. You've now completed your sawtooth star! 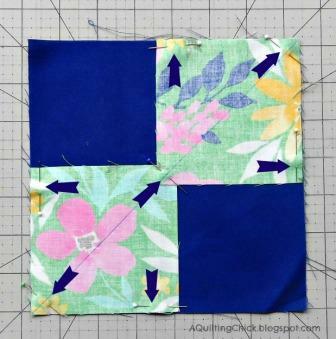 Remember, you need to repeat this until you have a TOTAL of (15) 12-1/2" blocks. Now, think about this though. ANY 12" BLOCKS WILL WORK!!! I'm giving you the instructions for the sawtooth stars, but feel free to make this your own! If there is a different block that will make your quilt pop, that fits with your focus fabric, then feel free to switch that with the stars! Tomorrow, I'll show you the changes I made for my Valentine's version of Fancy That! Can't wait to see your blocks!!! Be sure to tag me and #FancyThatQAL in your social media posts!! Yay! Step 2 and it's so easy! I need 6 and will make them with my Eleanor Burns magic rulers. Thank you! That is just so super cute! I love the fishermen.